Revenue in the Security segment amounts to US$669m in 2019. Revenue is expected to show an annual growth rate (CAGR 2019-2023) of 18.5%, resulting in a market volume of US$1,321m by 2023. Household penetration is 10.7% in 2019 and is expected to hit 21.5% by 2023. The average revenue per Smart Home in the Security segment currently amounts to US$228.44. Reading Support Revenue in the Security segment amounts to US$669m in 2019. Reading Support The Security segment is expected to show a revenue growth of 22.2% in 2020. Reading Support In the Security segment, the number of active households is expected to amount to 6.0m by 2023. 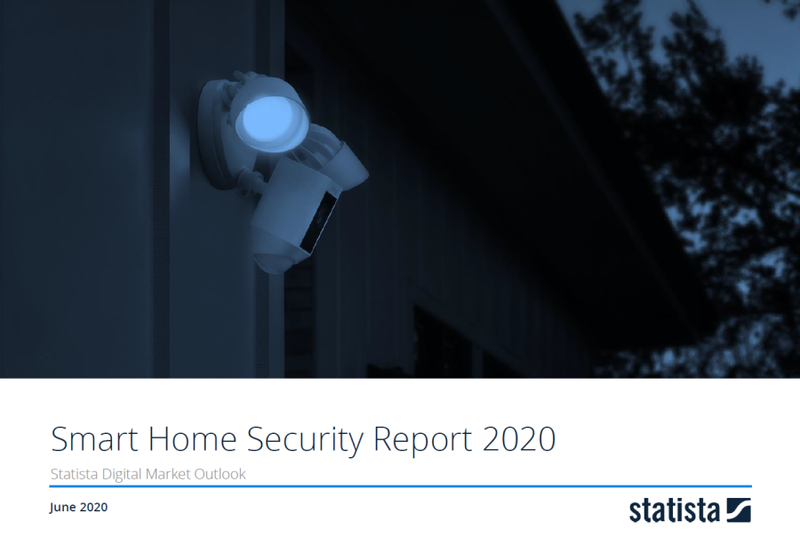 Reading Support Household penetration in the Security segment is at 10.7% in 2019. Reading Support The average revenue per active household in the Security segment amounts to US$228.44 in 2019. Reading Support In the year 2017 a share of 33.1% of users is 35-44 years old. Reading Support In the year 2017 a share of 67.4% of users is male. Reading Support In the year 2017 a share of 56.2% of users is in the high income group.